What a month it has been! 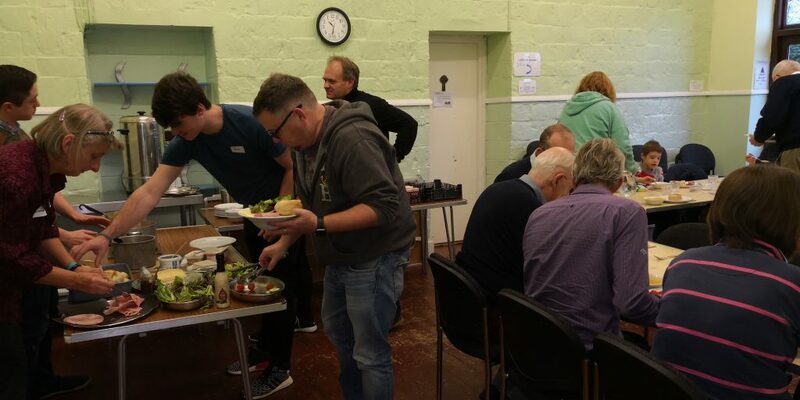 This November the Whitley team have been busy helping their community and beyond. Phil provides an overview of the great month that’s been. We have just finished hosting our annual National Conference at Legge House in Wroughton, near Swindon. It was great to see so many of you there! For those who couldn’t make it – it was a day packed with talks, panels, worship, and fantastic Biblical teaching from Keith Dolding. As well as a nice long forest walk! It was great to connect, catch up and just share some time with with our wider network from across the country: Wheatley, Witham, Preston and our Trustees in addition to those based in Reading. Preparations are being finalised for the Re:Start programme, which we will be running for the Alternative Provision pupils we help run classes for at JMA. We’ll be taking them to Prospect Park one day a week for 16 weeks to complete a mainly horticultural vocational programme, starting in the first weeks of January term. The past month has seen real progress made with many of our pupils in and through our Re:Set lessons, and it is increasingly rewarding seeing the investment we are putting into relationship-building begin to show fruit. I am personally starting to really connect with quite a few of the boys; the time and energy we are spending with them is really beginning to pay off. 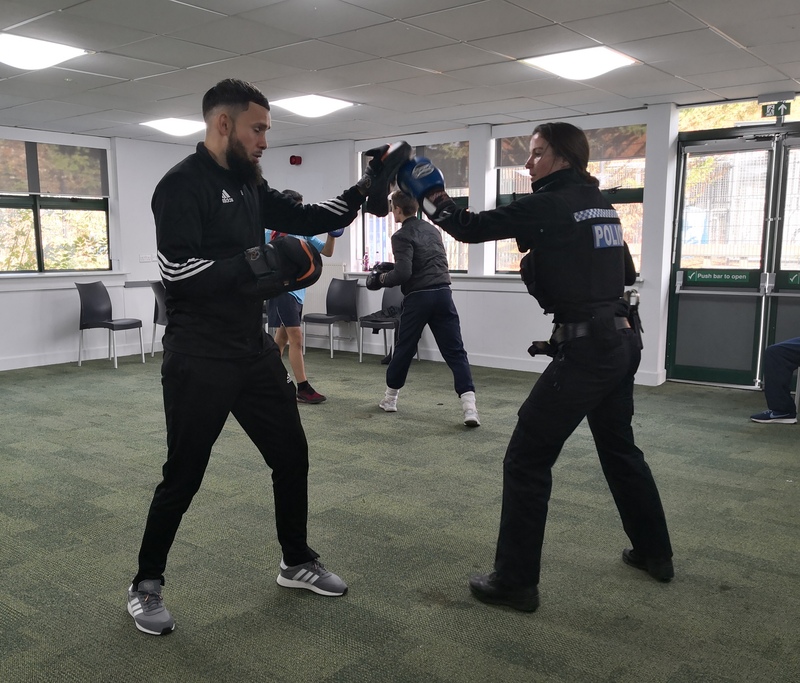 Myself and Aaron are getting stuck into the daily sports sessions, which rotate between football, boxing and basketball – we had some police visitors the other week, who themselves got stuck in to the boxing! We took the younger (KS3) set out on the morning of Fri 30th to plant bulbs on the roundabout just outside the school: a total of 500 crocuses, daffodils, snowdrops, and tulips which should all be blooming just a few months from now! It was great to get them working outdoors and being active; it was a really positive experience for most of the pupils to get stuck into. Hopefully a sign of things to come with Re:Start! 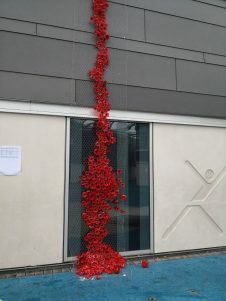 Earlier in the month they got involved in making poppies out of plastic bottles for a school display. I was pleased to see the kids – who often display behavioural difficulties – get into this and to see them respecting the two minutes silence which was held on the Friday prior to Remembrance Sunday. We are also still hosting a monthly ‘community dinner’ on the last Friday of the month at the local carvery. Having been to a few now, I’ve begun to really appreciate the time of fellowship and catching up that these evenings offer. It will be great to see you there next time! This overview was provided by Phil Jury a Shift Youth and Community Intern.